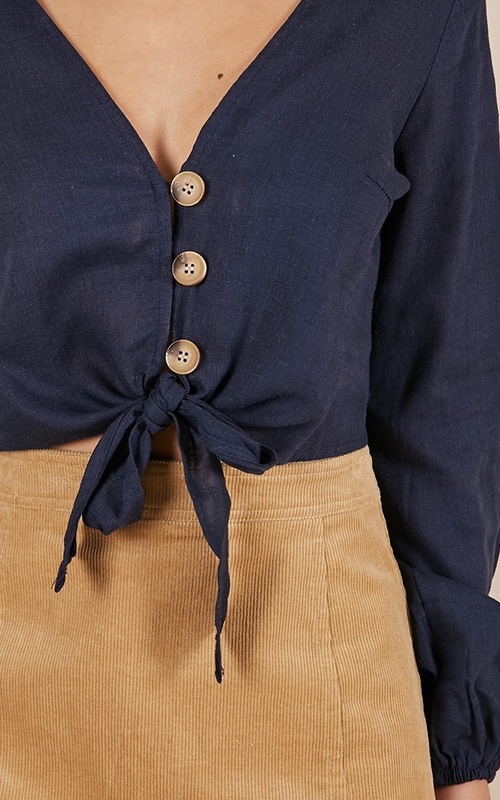 This tie front crop top is the ultimate staple piece this season! 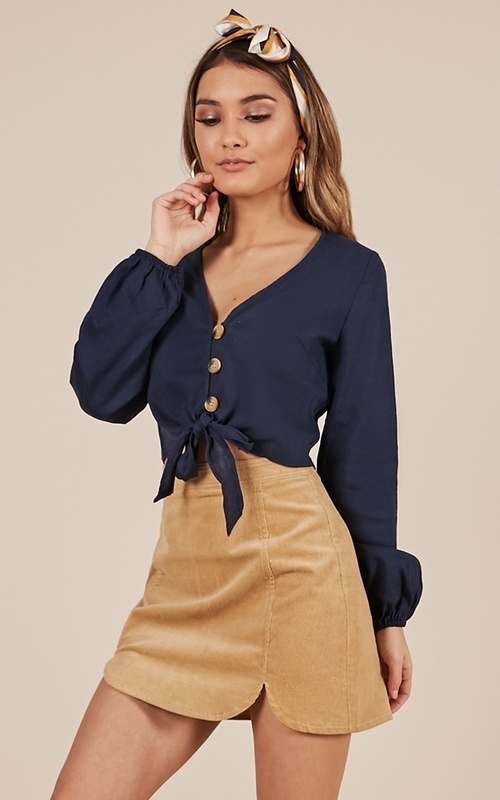 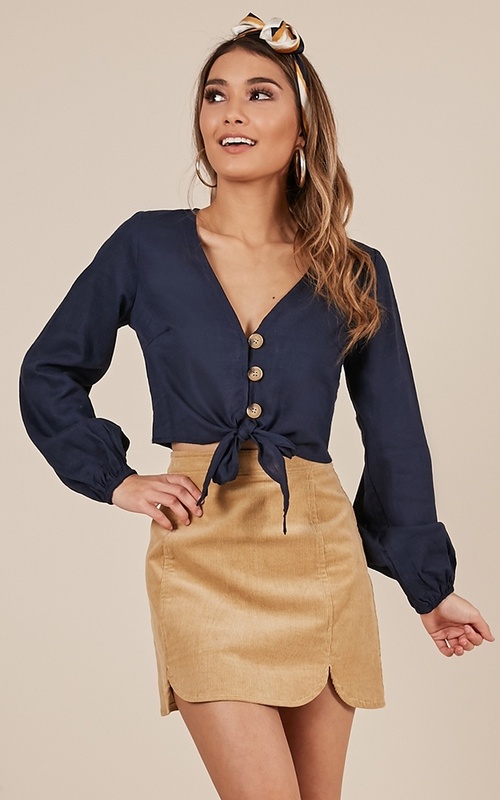 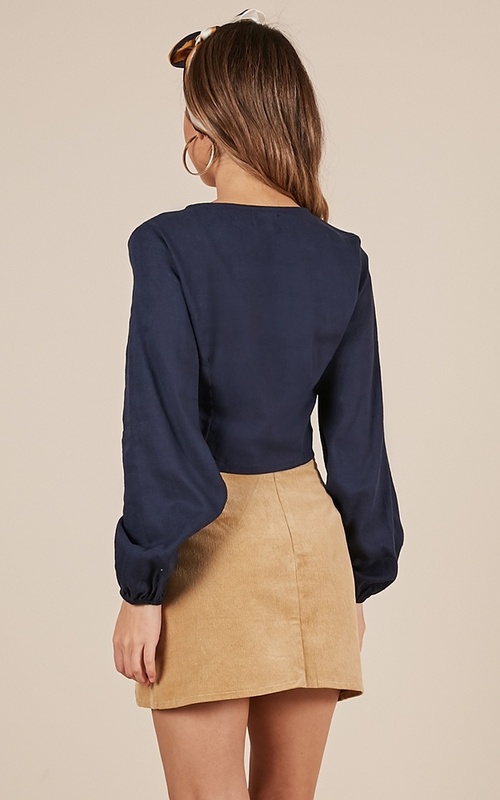 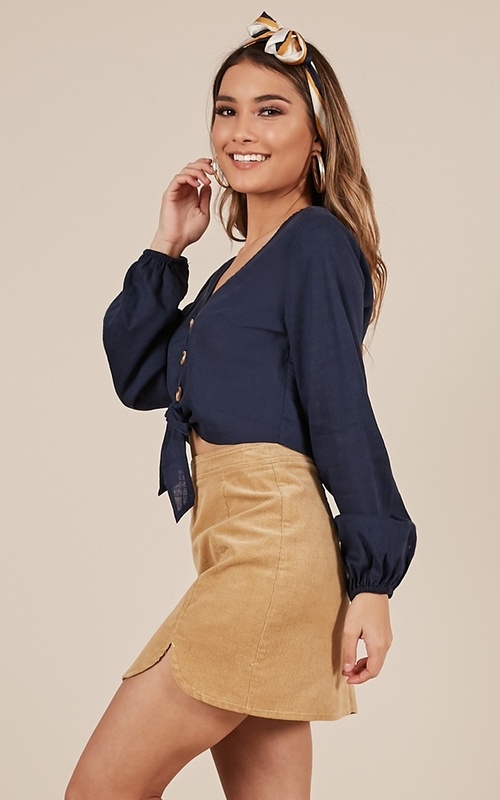 This Is Magic Top in Navy is the definition of chic and features elastic cuffed long sleeves. 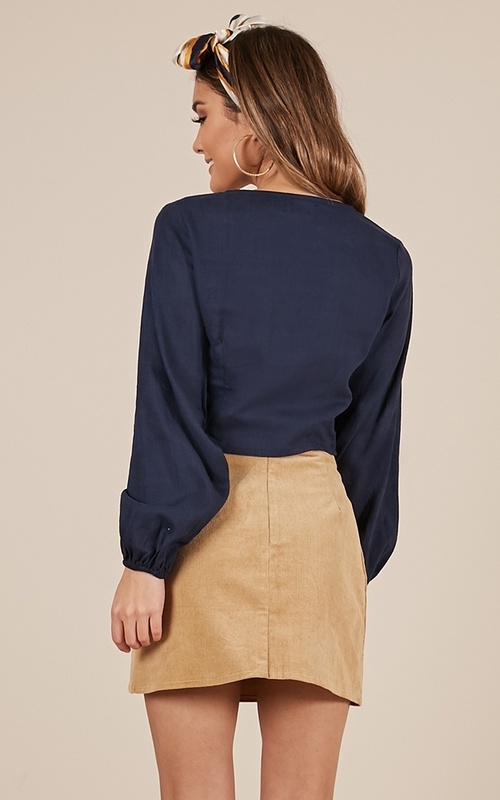 You are guaranteed to look fab AF!